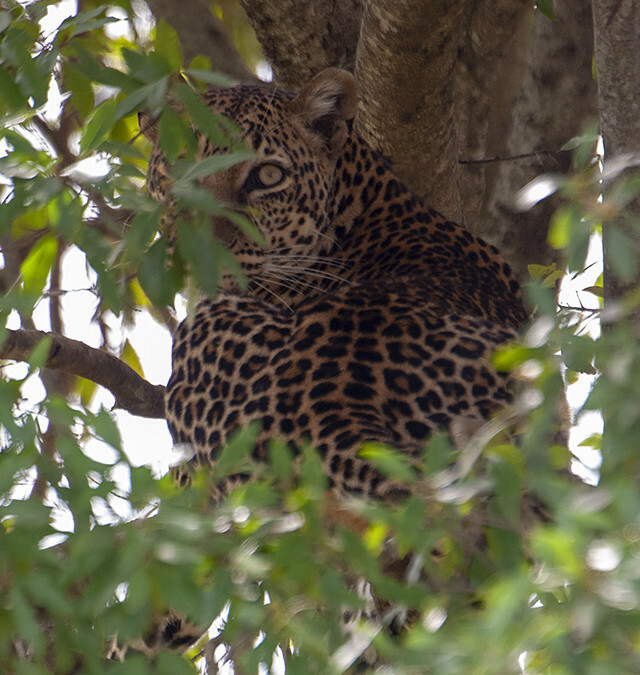 On this morning game drive in Maasai Mara National Reserve, we once again went looking for a popular Leopardess, probably the boldest of them all in Mara. 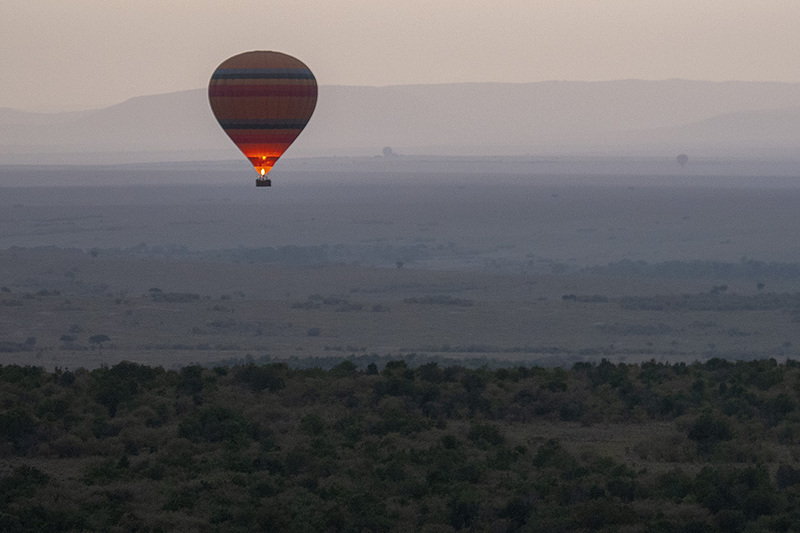 As we exited the gates of Mara Serena, we saw a hot air balloon drift through the morning haze. 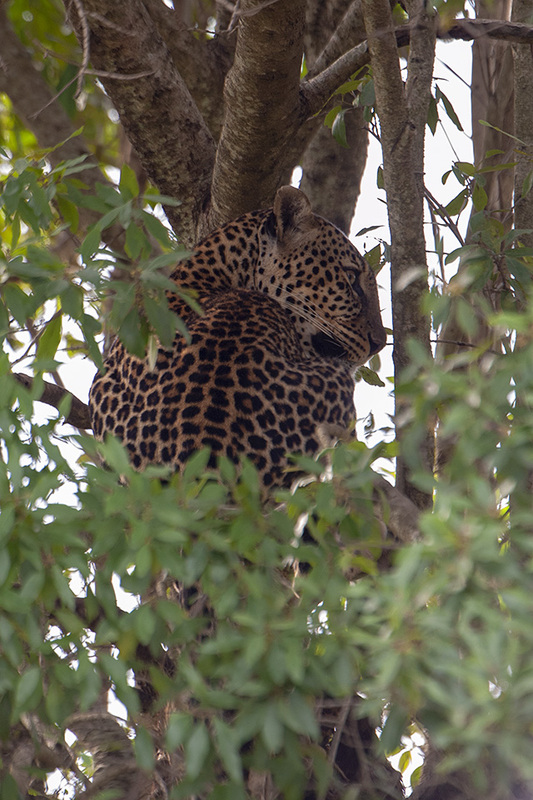 We stopped to take in the amazing view before we resumed our drive to the area where the Leopardess frequents. 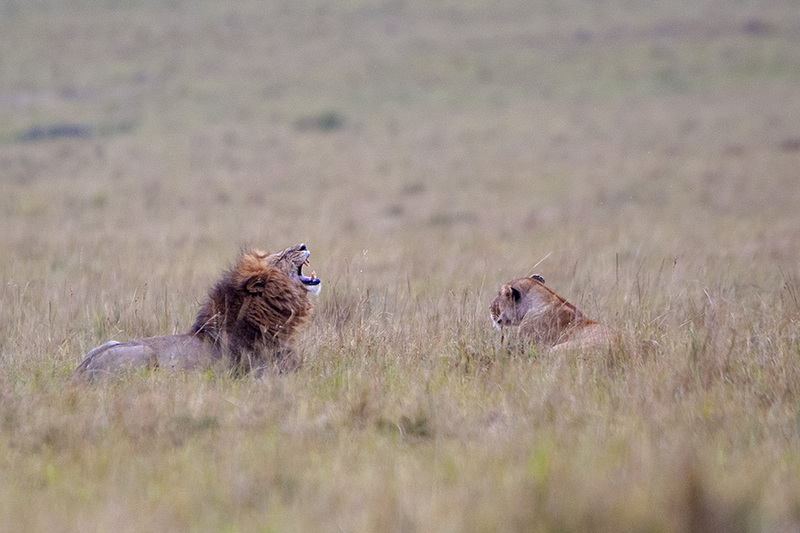 Our drive once again stopped thanks to the special appearance of an African Lion, popularly known as Scar face. We took a few pictures and headed off, since he was busy courting one of his kind and not in a mood to be disturbed. 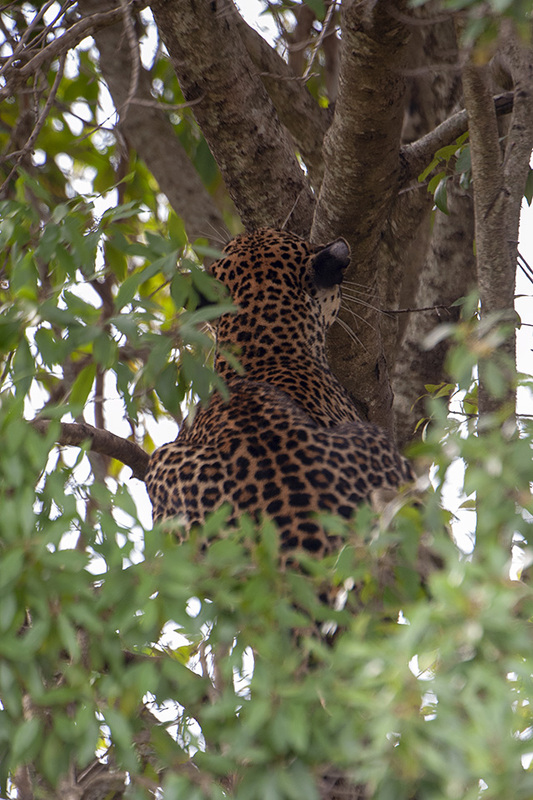 We then reached the Leopardess area, more specifically a tree which she frequents. We missed her on the first pass given her perfect camouflage. 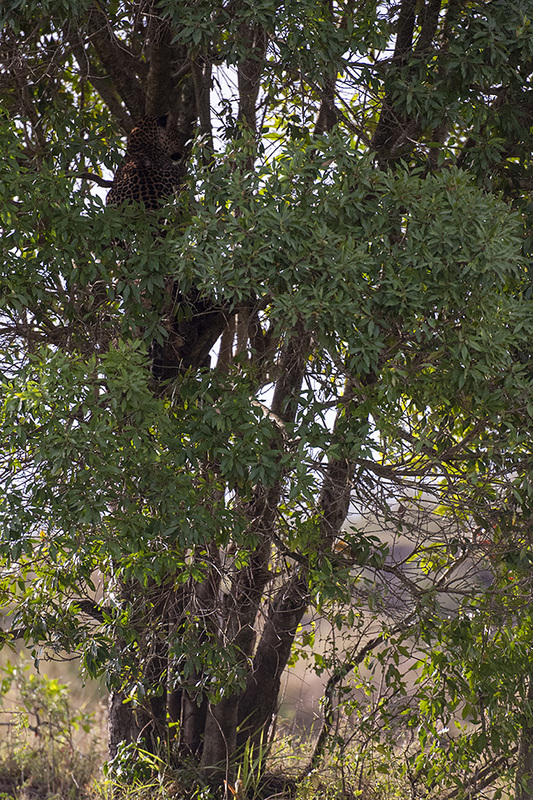 We spotted her on the return, beautifully seated scanning the Maasai Mara landscape for prospective prey. She kept switching positions quietly. It wasn’t until 90 minutes when she finally decided to turn around to look at us. We captured that beautiful look as the cover shot of this post. However why we call her the boldest makes for another complete post in itself – to be up shortly.